After 5 weeks of a lot of back to back winter virus and kiddie cooties (flu, cold, ear infections, diarrhea, teething) I am finally struggling to get back into the swing of things. I had been looking forward to getting my body fat tested through hydrostatic teting, which is considered the most accurate and the gold standard. I had previously gotten the skin fold caliper test done at the gym where I was pinched at 3 different parts of my body. I actually was in a bit better shape back then and they had me at a scary 28%. I don’t really trust caliper tests, since I hold most of my fat in the torso and arms, so I have been really lobbying hard for my gym to make hydrostatic testing available. 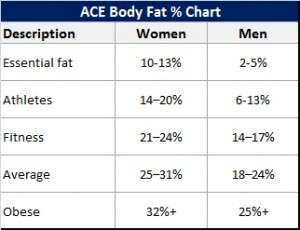 So basically, there are a few things to do to prepare for the body fat test. 1. You need a swim suit and towel. 2. You need to not eat for 2 hours before the test. 3. You want to be clean and have already gone to the bathroom before the test. They don’t like you to have makeup or hair gel in the tank, which is totally understandable. 4. You need $49 for the first test, and $39 for subsequent follow-up tests (this price is for BodyFatTest.com, prices for other companies may vary). Right before getting dunked, I changed into the swimsuit, got weighed on the scale (133lbs, heavier than I was even just 5 weeks ago – sigh), and they took my height (just about 5’6″). The experience over was comfortable, as the water was warmed to 92 degrees. The dunk test was a strange experience because it is not natural for me to exhale my air supply completely. The goal while you are submerged is to have all of the air exhaled out, so you actually exhale before you submerge yourself and then blow out even more air when you are underwater. I went down on my belly and there was a weight placed on my lower back to help me stay submerged. I was weighed 3 times during the 15 minute session and each submerge and weigh I got better at blowing out my air supply more completely. The last 5 minutes or so of the session I was explained my test results (21.9% body fat or 29.15lbs of fat!). My resting metabolic rate, or basal metabolic rate (BMR) is 1521 calories, which is what is required to sustain myself if I am laying in bed all day and doing nothing. 1521 calories, therefore is the number of calories that I am never to go under unless I want to put my body into starvation mode. You body will maintain its metabolic rate as long as you do not dip into starvation mode. Along with my report I received a list of activities and calories burned in 30 minutes that is personalized to my body. This is very encouraging to me, especially compared to the 28% body fat result from the calipers I received when I was actually more fit! Mike Hickok at Body Fat Test told me that there is a higher error rate by several percentage point, especially with a 3-pinch test (apparently there are even 9-pinch caliper tests!). I have found some renewed motivation to start my strength training again, as I have really let that go since my shoulder became injured. I am somewhat upset about how long it takes a torn teres major to heal, and I will need to go to physical therapy to learn how to prevent more injury into the future. Finding time to go to physical therapy has been challenging, and so has getting back into the fitness routine — with my two kids and the ups and downs of the season it actually feels like a constant struggle. I am looking forward to the Spring and hoping that I will be able to build muscles as well as lose some fat in the coming months!